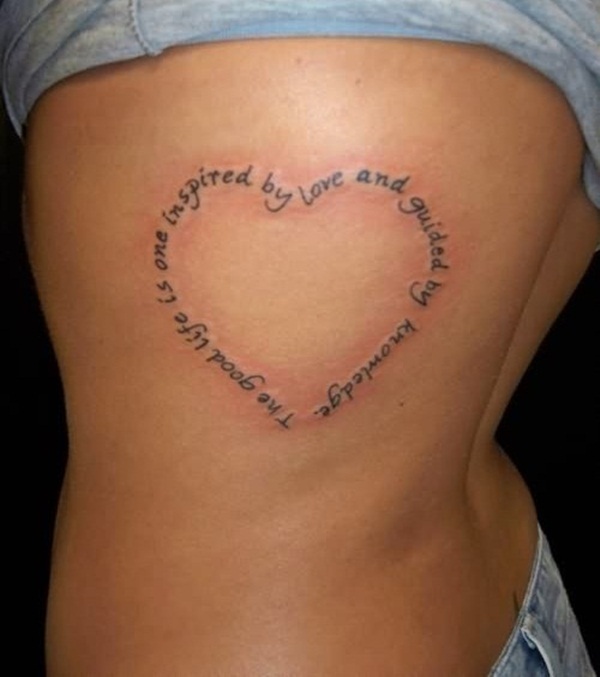 If you are looking for a tattoo that is heart inspired then read on. 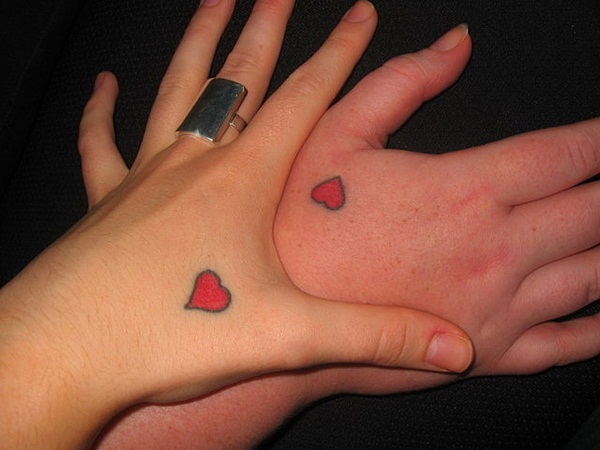 Hearts have always been popular tattoos for both men and women to get. It’s probably because they are a common symbol of love. It not only represents love but adoration and passion towards a loved one. 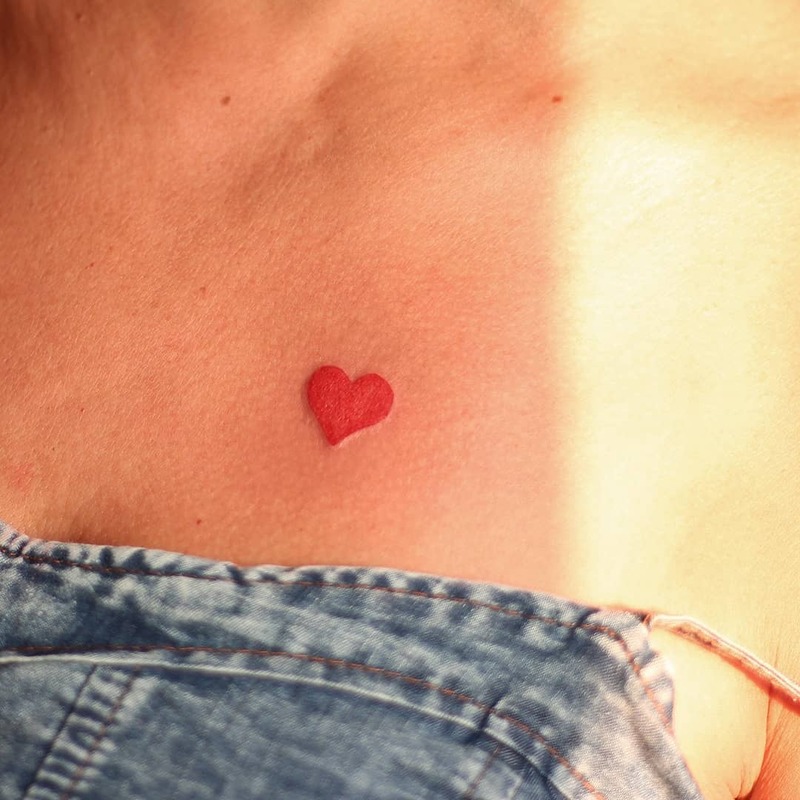 Some people get heart tattoos because of their lovers while others use it as a symbol of love for their mothers or daughters. 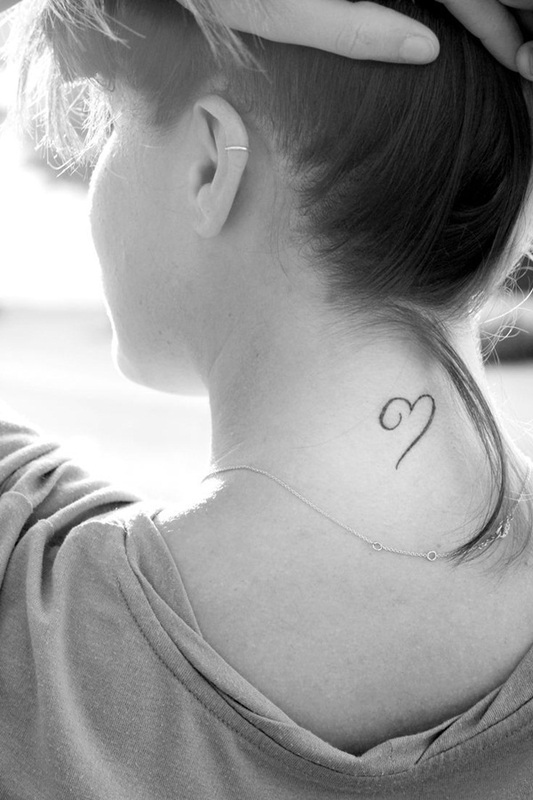 There are many meanings behind the heart tattoo. Each heart tattoo has a different meaning not only for the person getting the tattoo but based off of the design itself. 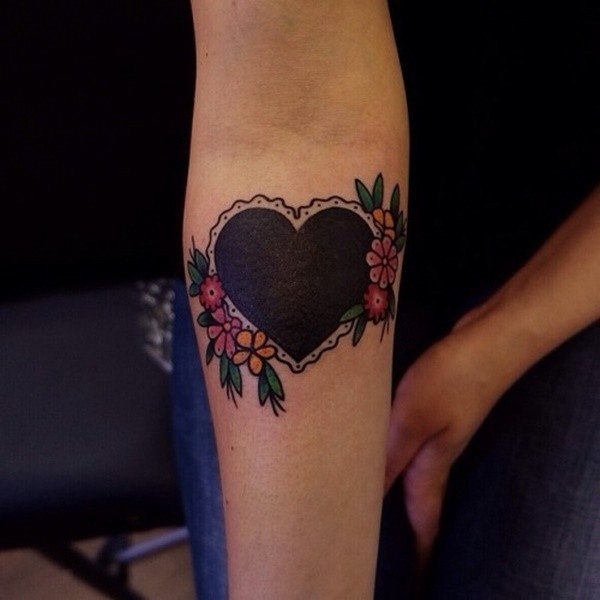 Tattoos have been featuring hearts for a very long time. Sometimes you find them amongst sailors and nautical designs. 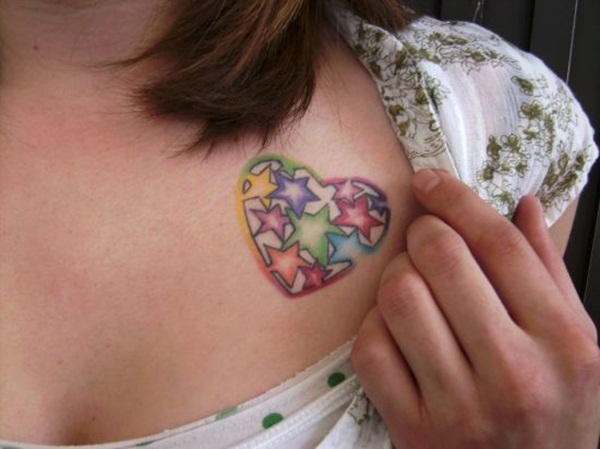 There are virtually hundreds of different heart tattoos that you can get in many different styles and shapes. Some come in black and white while others will be represented in full color. You can get them in many sizes, small and large. 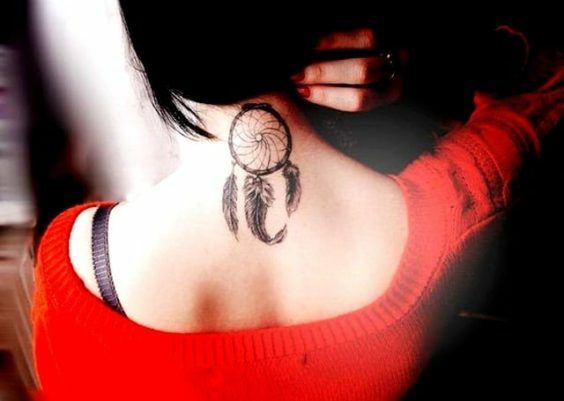 They can be placed anywhere on the body depending on the size of the tattoo. When it comes to small designs, many are placed on the ankle or wrist or behind the neck. 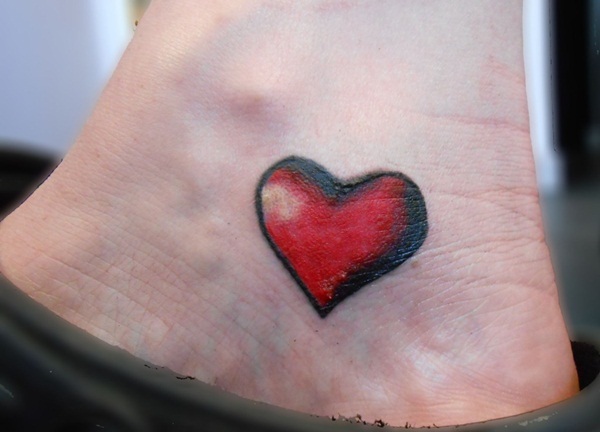 There are many realistic versions of the heart tattoo as well, but they usually require more area. Heart at times will accompany a name of a loved one or a message. 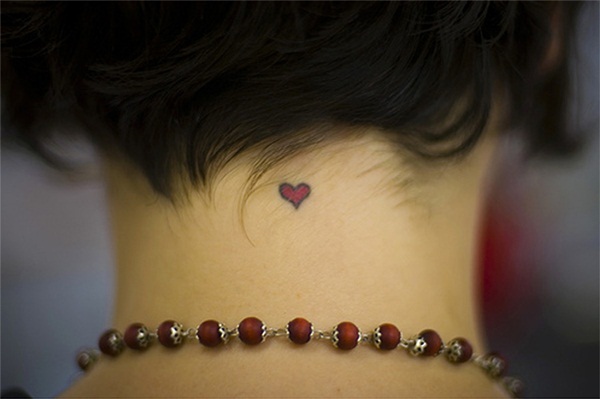 A lot of people have associated the heart tattoo with their mothers, and it was quite popular for some time. You don’t see too many of those design in the modern world any more. But it didn’t just stop with mothers; many people will add their lover’s name or even their dogs. It’s usually associated with someone near and dear to your heart, so to speak. 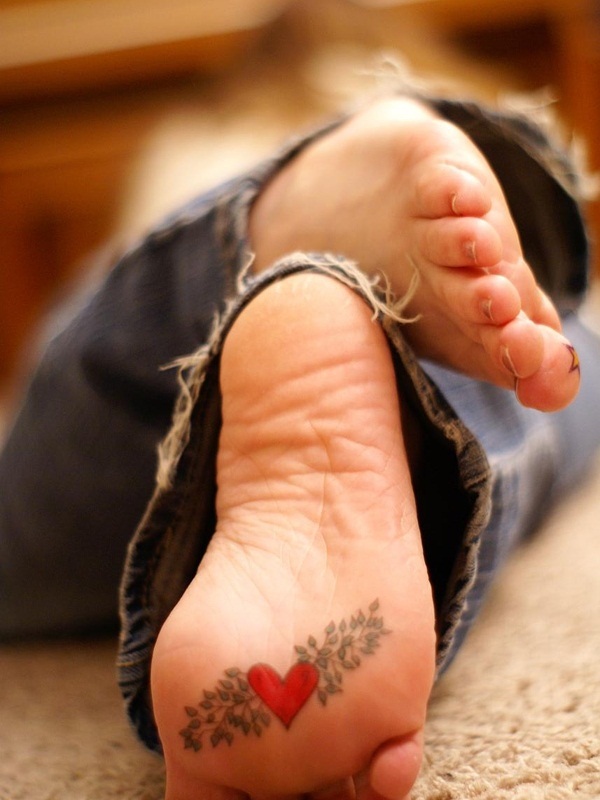 Heart tattoos allow you to be as creative as you want to be. You can create your own design and make it as meaningful as possible. 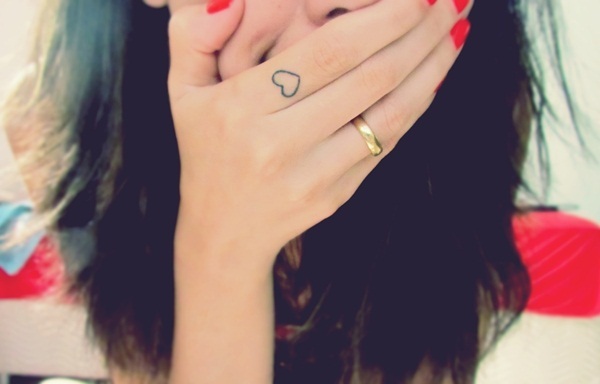 The heart tattoo can mean many different things depending on what style that you choose. 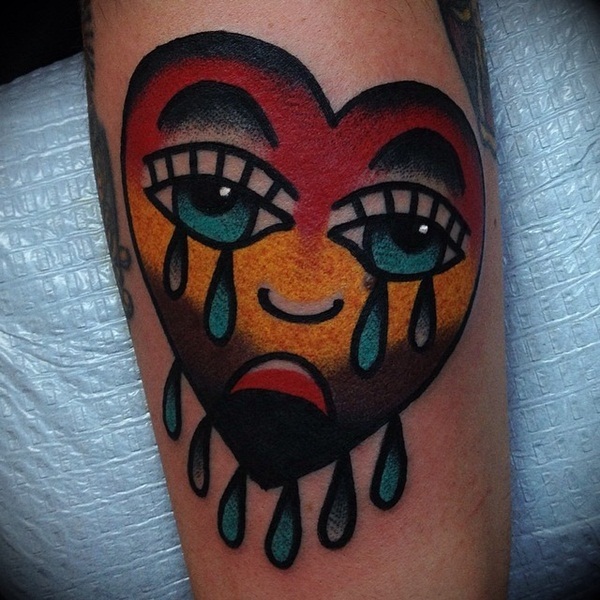 The Broken Heart Tattoo: these tattoos are usually representing a broken heart. It could be a broken relationship or the loss of a loved one. The broken heart could also be representing your loved one living far away. It is a constant reminder of the love that you hold close to you. 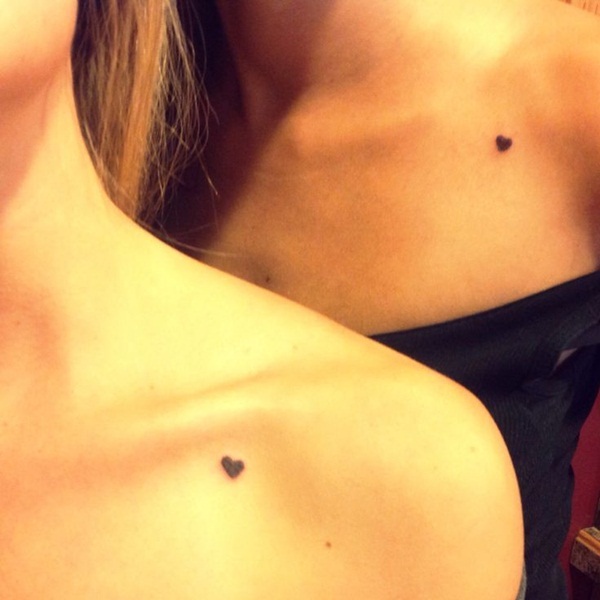 Black Heart Tattoos: There are some modern tattoos that are black. These can represent a sad or mournful day in your life. It could represent the loss of a loved one or the end of a relationship. 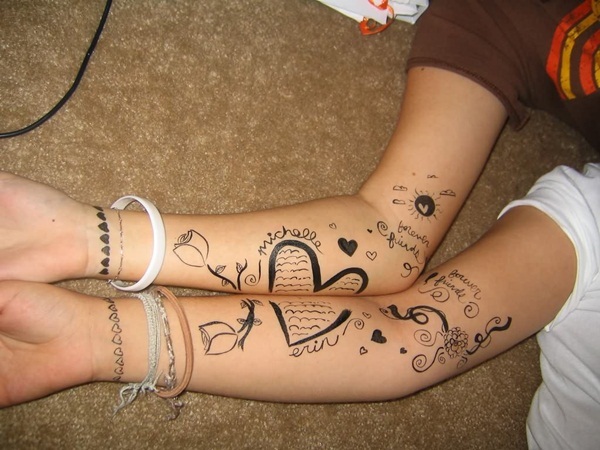 These tattoos usually are attached to names with the heart or even flowers or angel wings. Black hearts were very popular around the time that the twin towers fell. 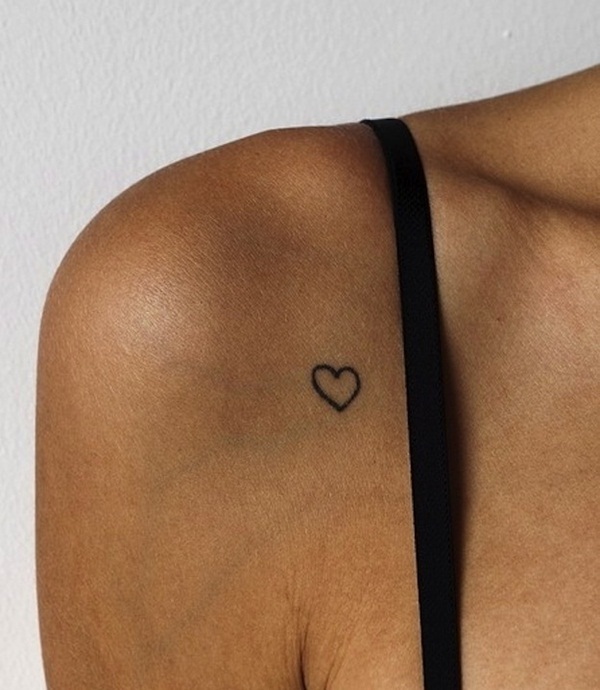 Either way, the black heart tattoo is something that will help you to remember a time that is lost. 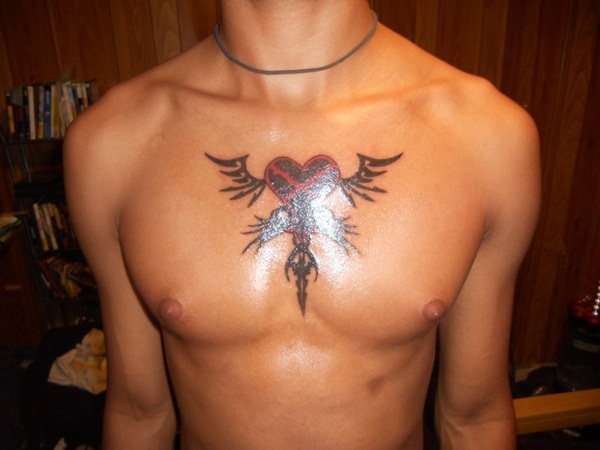 Tribal Heart Tattoos: Tribal heart tattoos are widely popular though they don’t have any real symbolic meaning. 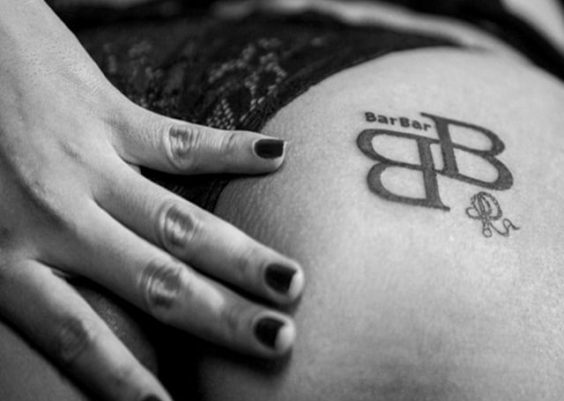 It’s one tattoo that people love because it’s a really good look that you can add a personal message to. 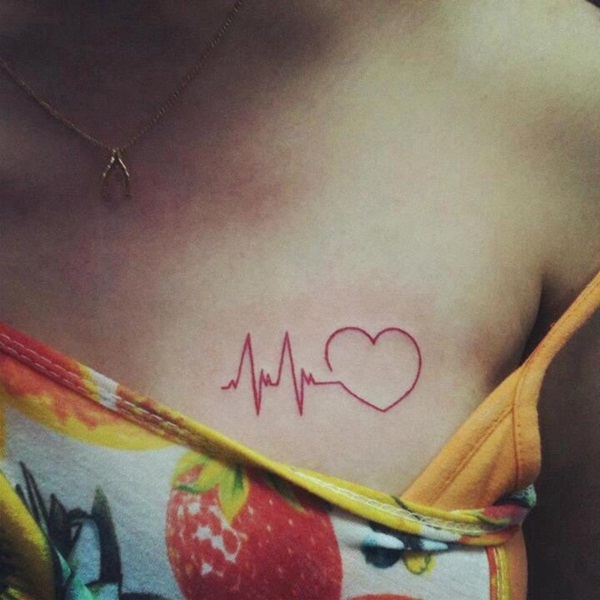 A personal message is one that always goes well with a heart tattoo. 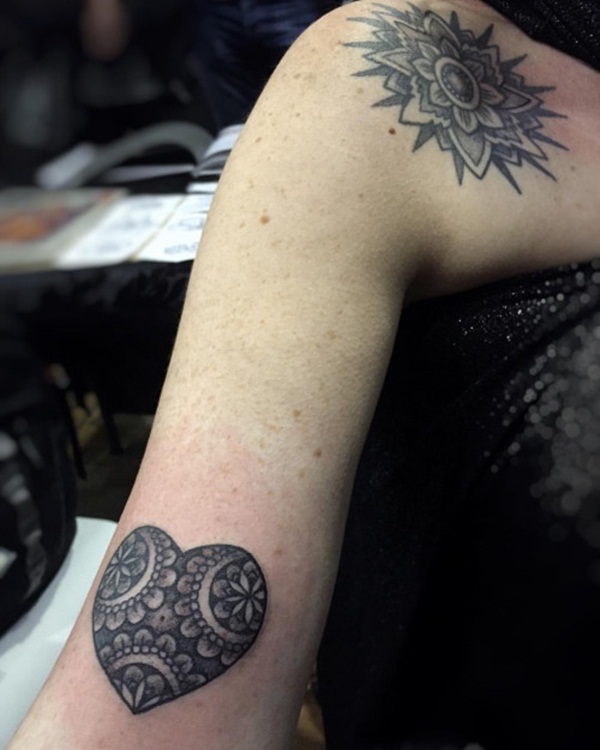 There are virtually thousands of tribal heart designs that you can choose from that will also merge well with many different designs. 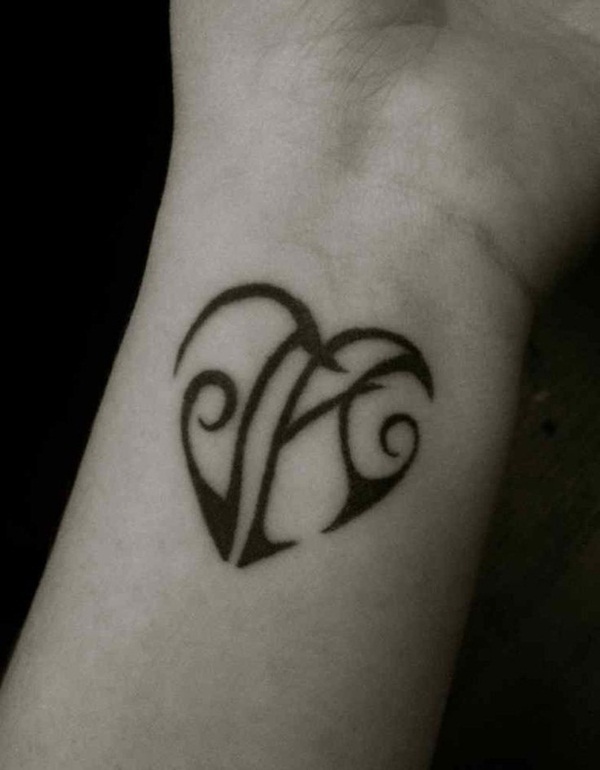 Celtic Heart Tattoos: These are beautiful tattoos that make for a great design. Celtic heart tattoos are symbolic of strength and unity. 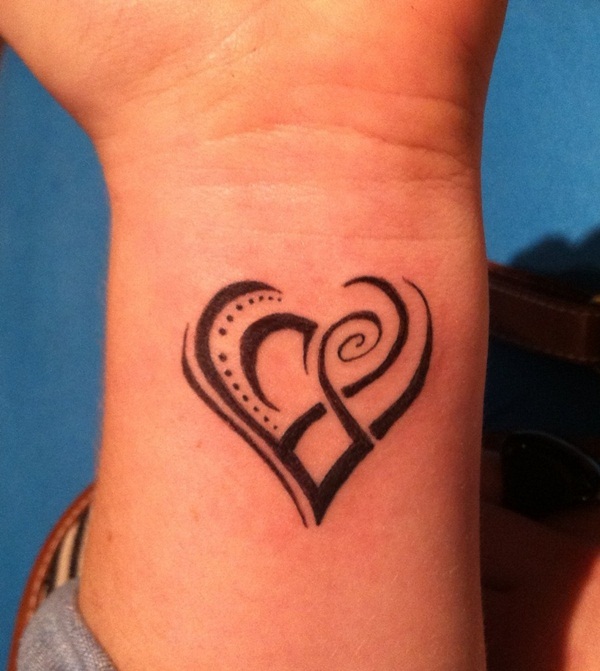 Celtic heart tattoos are not only beautiful, but they come in many different shapes and styles. 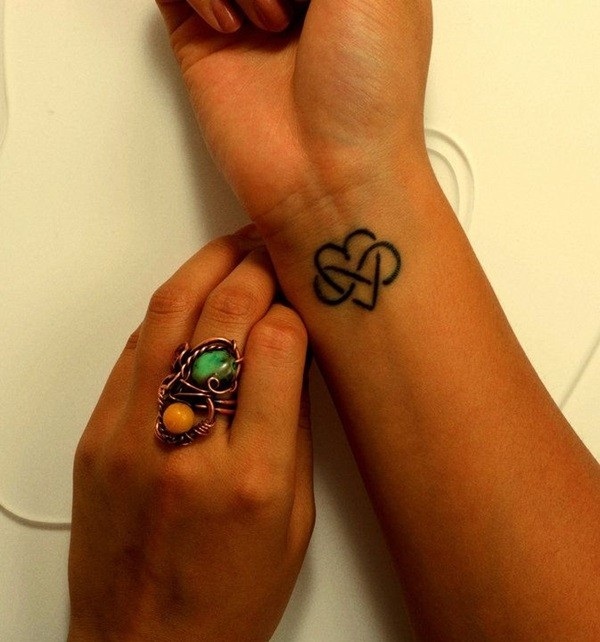 There are four different patterns that a Celtic heart tattoo can come in such as knots, spirals, crosses or step work. 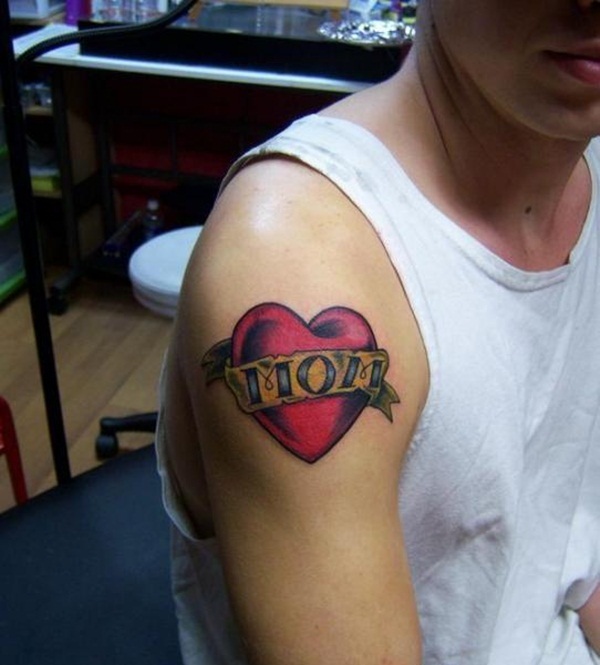 Sacred Heart Tattoos: Sacred Heart tattoos are also very popular designs. They are one of the most symbolic designs out there. They have a long history that goes back thousands of years. The history goes back as far as the 17th century in France. 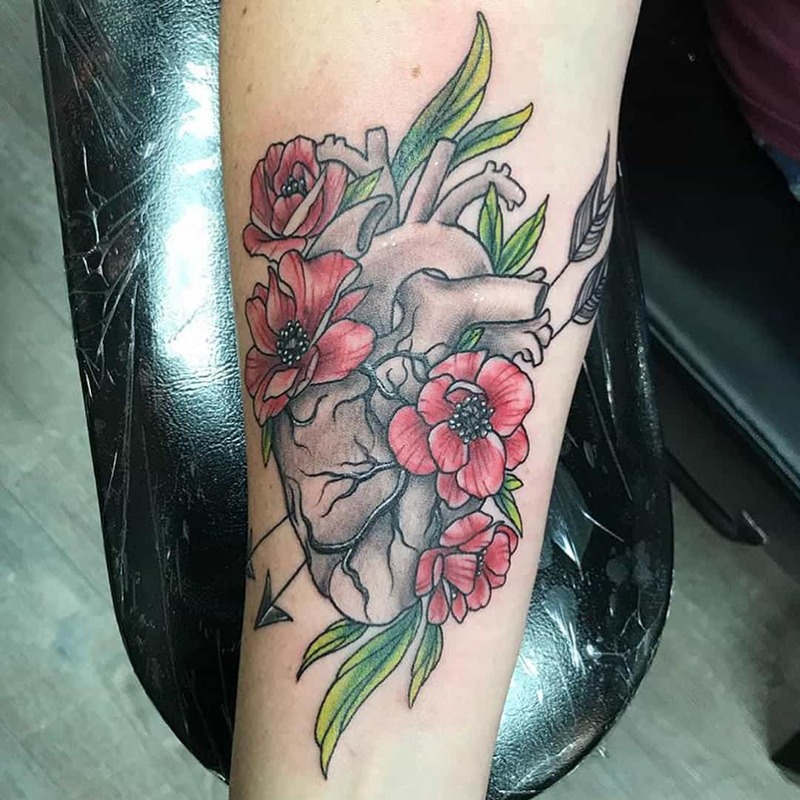 If you are looking for a remarkable design, then a sacred heart tattoo may be just what you’re looking for. 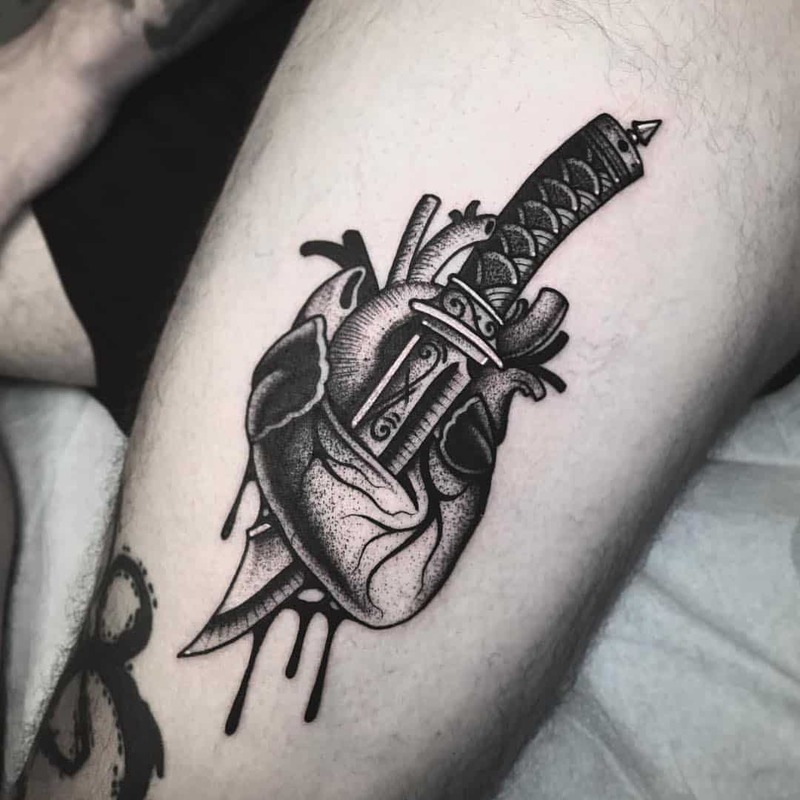 Sacred Heart tattoos are usually paired with another design such as a pierced sword, thorns, a crown, or even an angel. 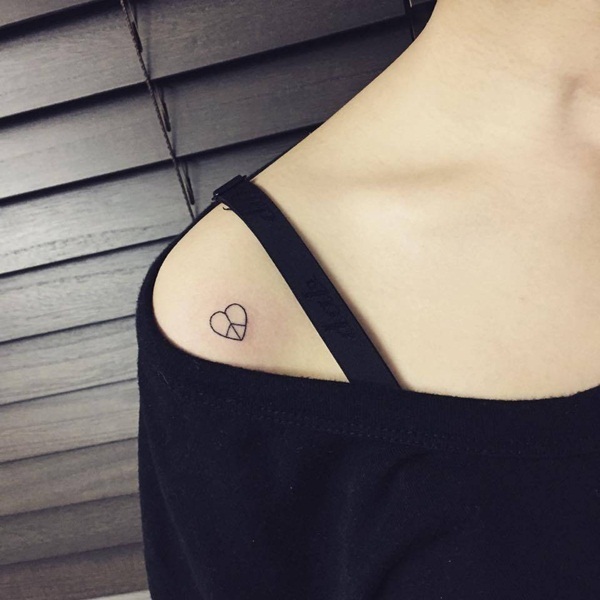 There are usually burning symbols around the tattoo design. This sort of design has been seen around for centuries as the symbol for Catholics. It’s even been a symbol dedicated to Jesus Christ. It’s part of the faith in Christianity. 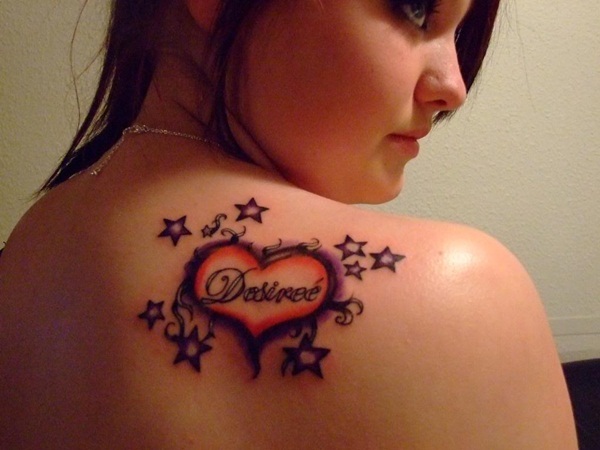 Lock and Heart Tattoos: These tattoos usually have a very positive message behind them. 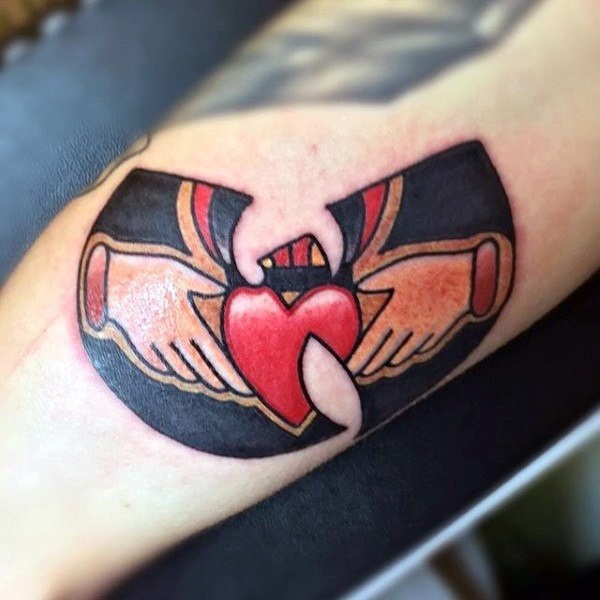 Many people use this design to represent their love for one another. 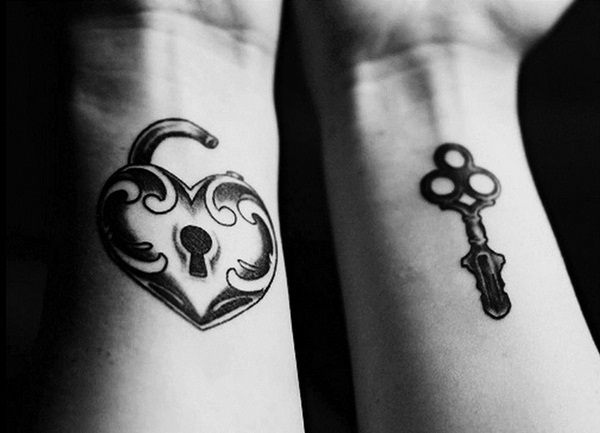 These tattoo designs usually symbolize that there is only one person in your life that can unlock your heart. 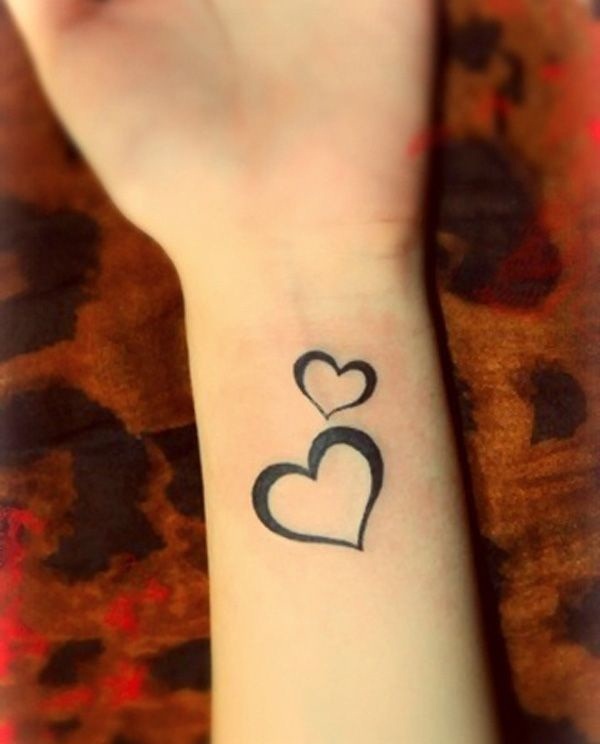 Realistic Heart Tattoos: realistic tattoos are very popular because they really look like badass designs. It’s not very common, so if you like it, it would be more of an original design. They are full of color and are so realistic that it represents the real human heart. Sometimes the realistic human hearts are seen held in a human hand. 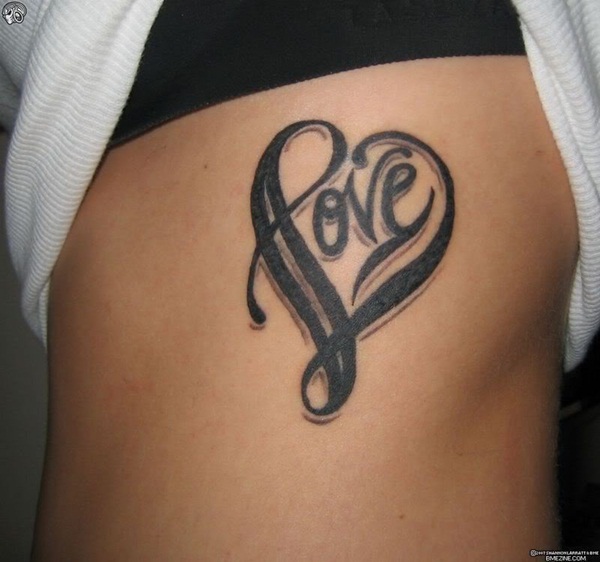 Flaming Heart Tattoo: there is nothing more passionate then the flaming heart tattoo. It represents the passion and love you share with your partner. 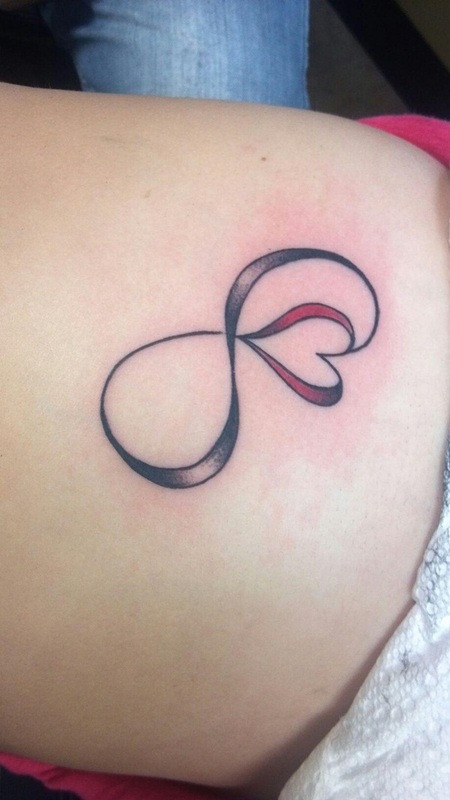 These tattoo designs can represent strong passion or love for your partner. The flames on the heart symbolize the burning love and desire you have for your loved one. 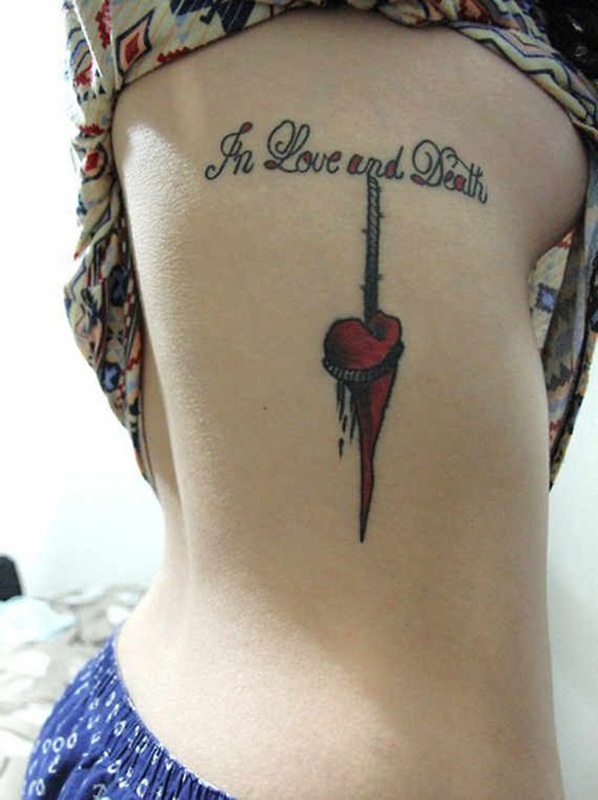 Dagger Heart Tattoo: Dagger heart tattoos have always been popular designs. There is using a positive and a negative meaning behind the design. 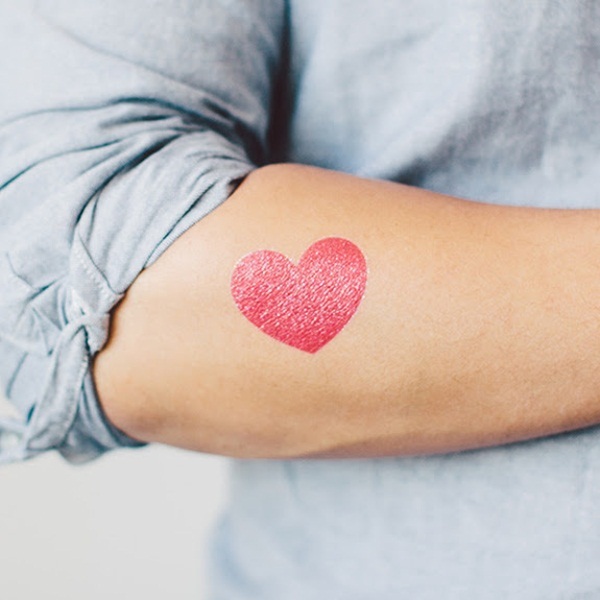 These dagger heart tattoos also represent courage and bravery. 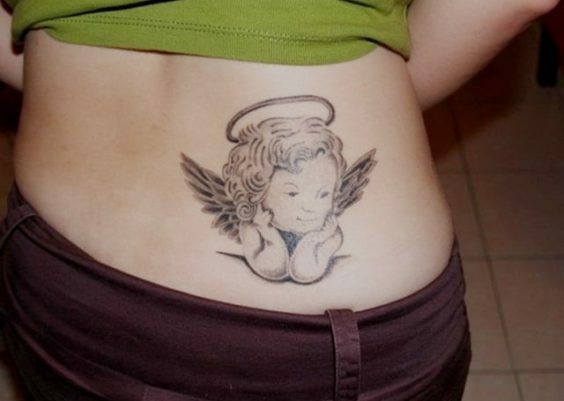 The negative side of the tattoo is it can also represent a long struggle, grief or even sorrow. 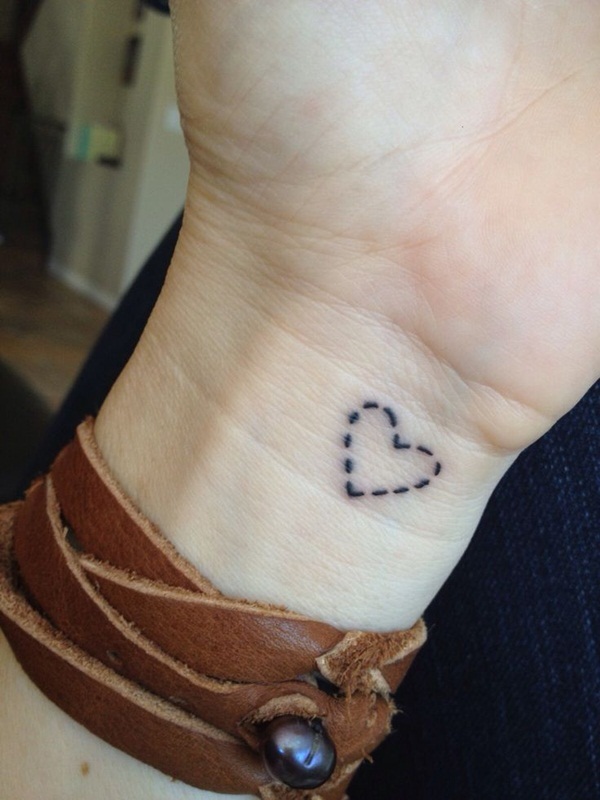 Stitches Heart Tattoo: These tattoos represent different meanings for different people. It can represent the healing of a broken heart, even though those experiences can be hard. 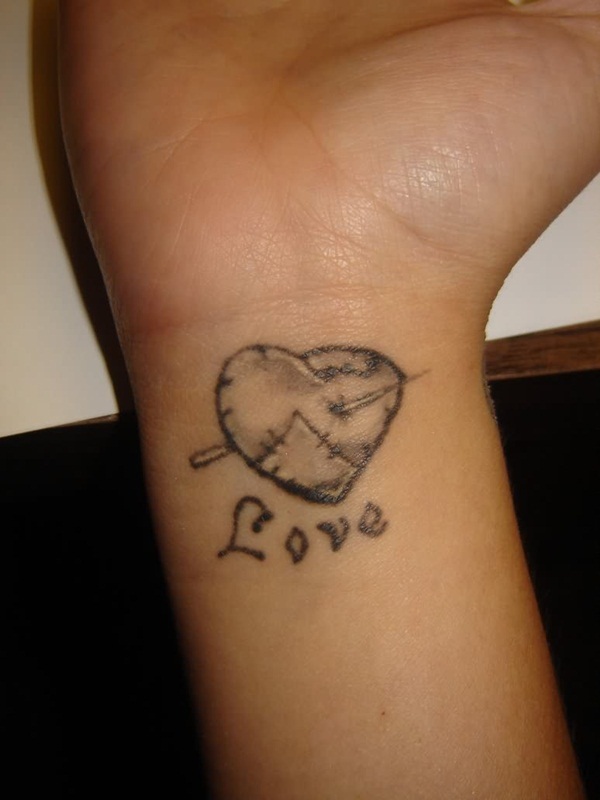 It can also represent the loss of a loved one or just the fact that you have a broken heart. 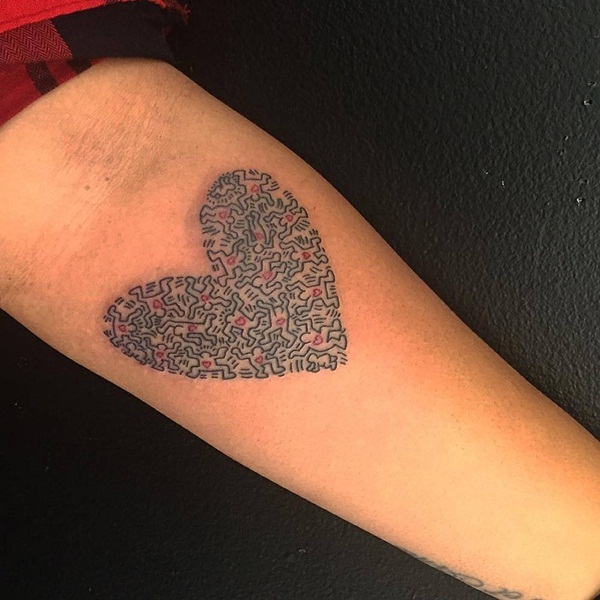 This heart tattoo is really unique because it looks like something that was doodled in a notepad. This heart has the word love wrapped inside of it. It’s a great design and yet so simple. 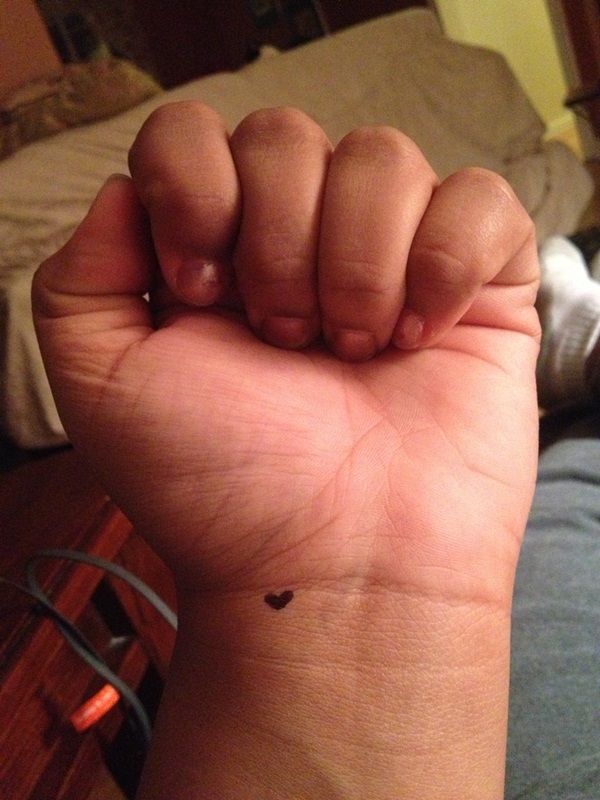 This little heart is small enough to fit snugly on the wrist. 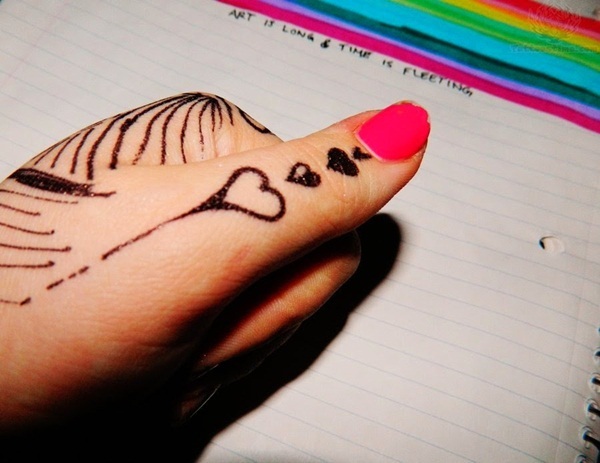 If you want a simple design, then put on a small heart. This heart design has the peace symbol inside of it. It’s a cute design that will fit anywhere. 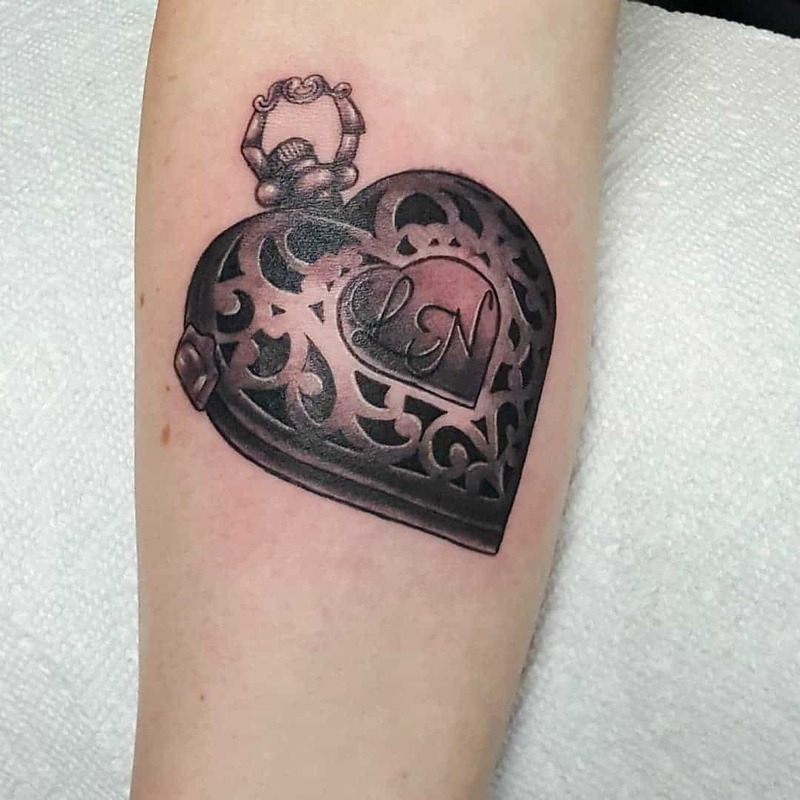 This stamped heart is a unique design that you don’t see very often. 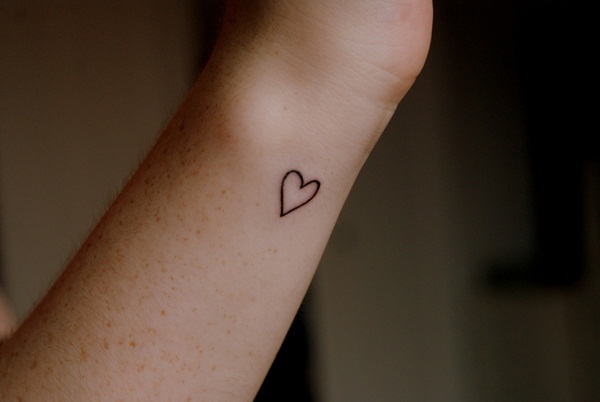 This little outline heart is sure to be a sweet tattoo for you. It’s simple and yet a perfect statement. This is a great design if you want something small on your wrist. The double design really complements each other. 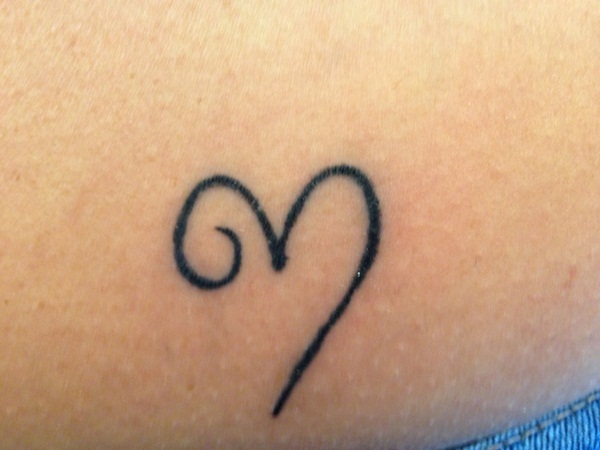 Another example of the tiny outline heart. Previously it was shown on the wrist, but it looks just as good on the chest as well. This design is a swirl, and yet it forms the shape of a heart. If you want a unique design, try this one. Have you ever left your heart on your shoulder? 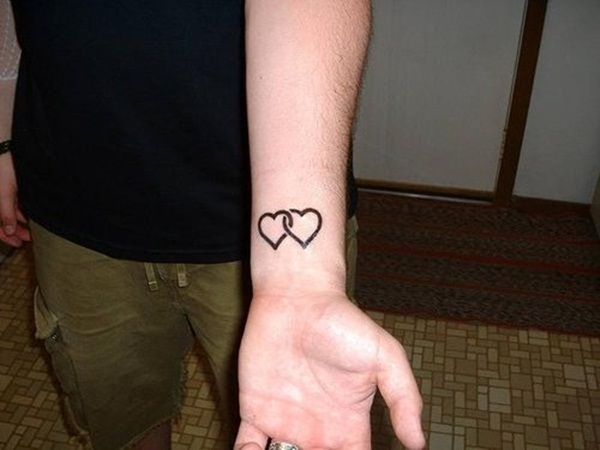 This is the same outlined heart as the other images but in a different spot. 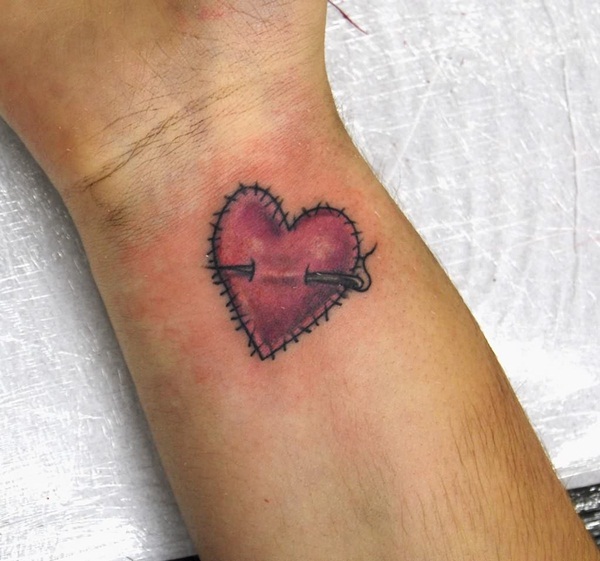 This heart is not only stitched up, but it’s pierced as well. It’s a simple design without a lot of detail. This crowned heart is a simple yet beautiful design. 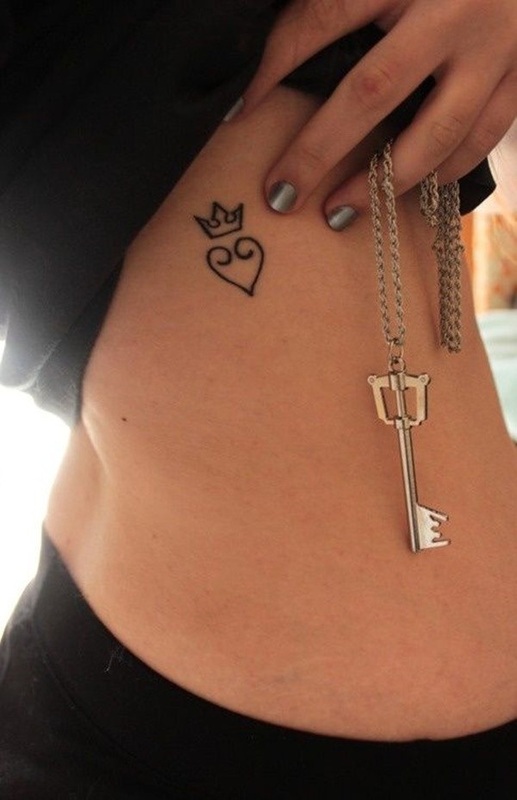 I love the little crown on top of the heart; it’s adorable. 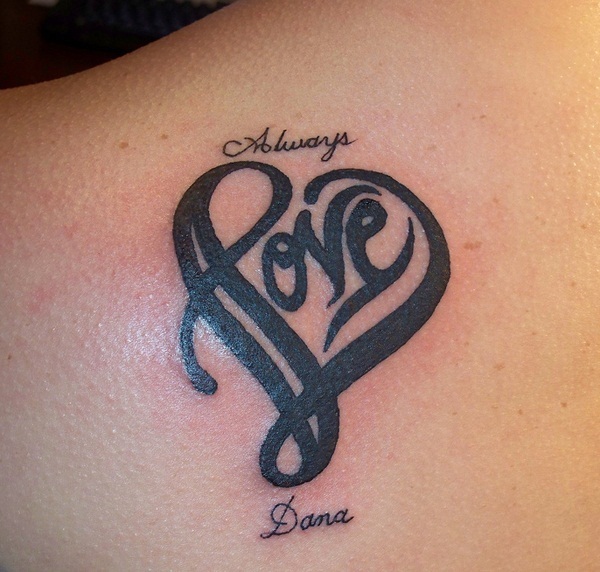 There is a heart somewhere in this design, but I love the elegant rhythm of the word love. 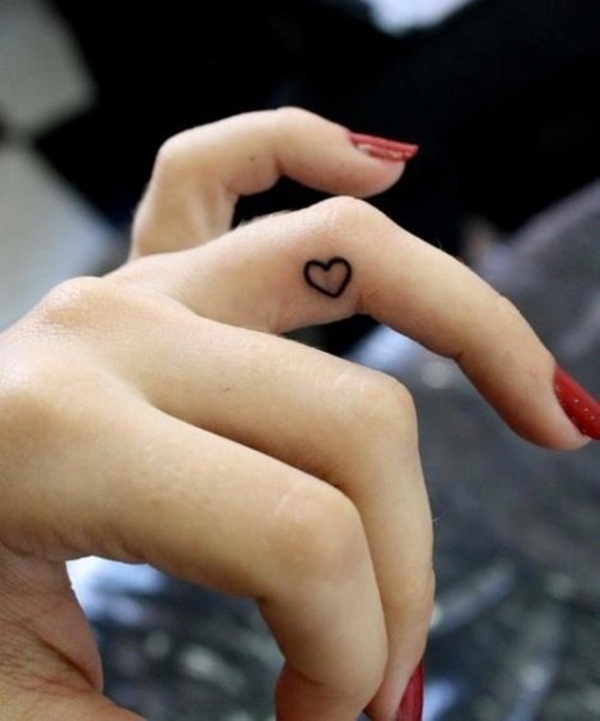 Another example of the outline heart, this time, it’s placed on the finger. 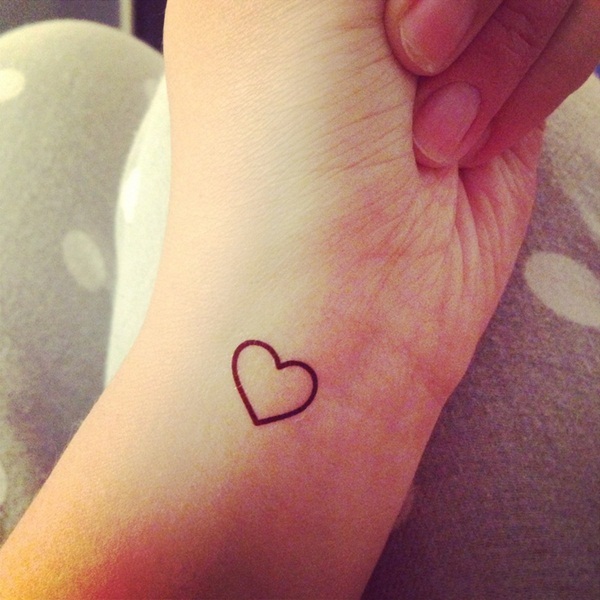 If you are looking for something simple, then this simple heart dot tattoo may be what you’re looking for. 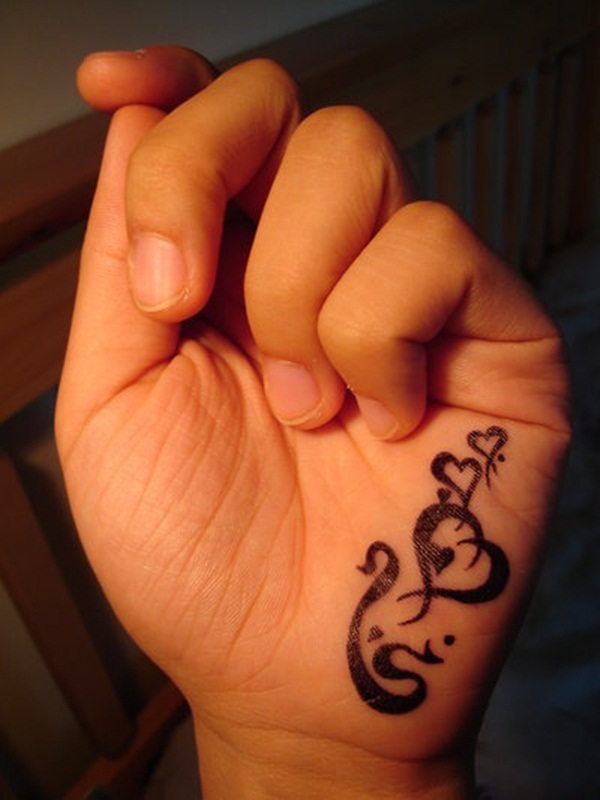 This cute design is made up of a musical note and ended with a heart. This design is a great one for someone with a medium sized tattoo. The heart just tops the design. A great design that can be placed anywhere. 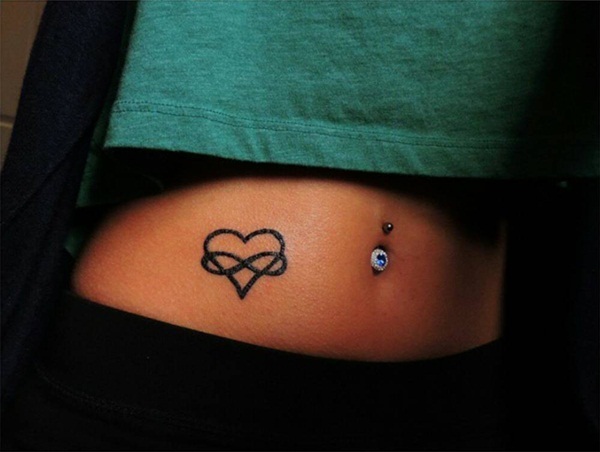 The eternity symbol is on the inside of the heart. A sweet design made up of fluttering hearts. The tiniest heart in a bright red color. It can be placed anywhere. This heart is full of people. It’s great united tattoo made up into a heart. Another example of the eternity heart. 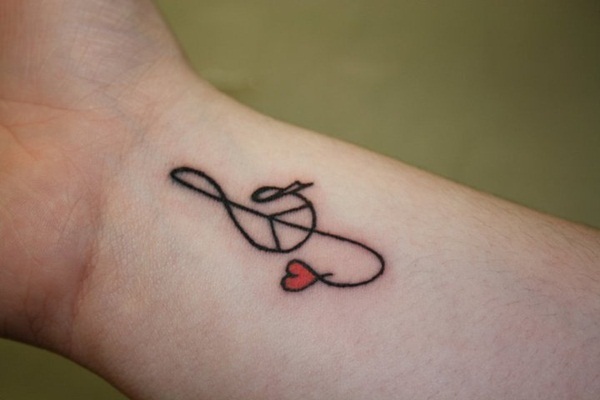 This one is more of an outline and can be placed on the wrist. 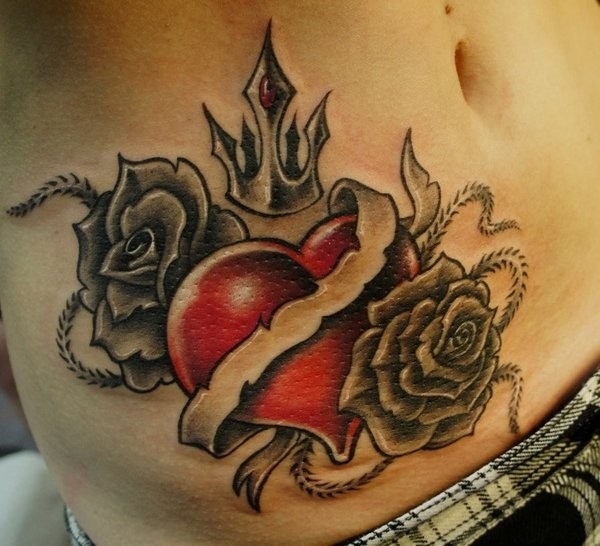 This detailed heart design is a work of art. It’s not a large design and can be perfectly placed. A large heart design has this heart crying alligator tears. It’s so colorful that the design pops. This heart is full of hope and love. The message creates the heart making a great design. This is another example of the eternity heart. 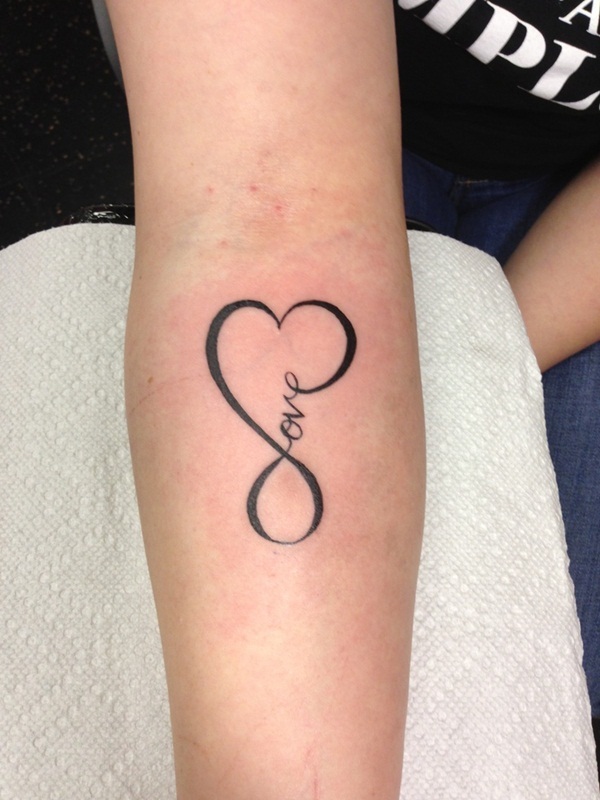 The eternity symbol creates the heart with the word love inside it. This bright red heart is stitched right into your skin. The heart is also pierced speaking of a broken heart. 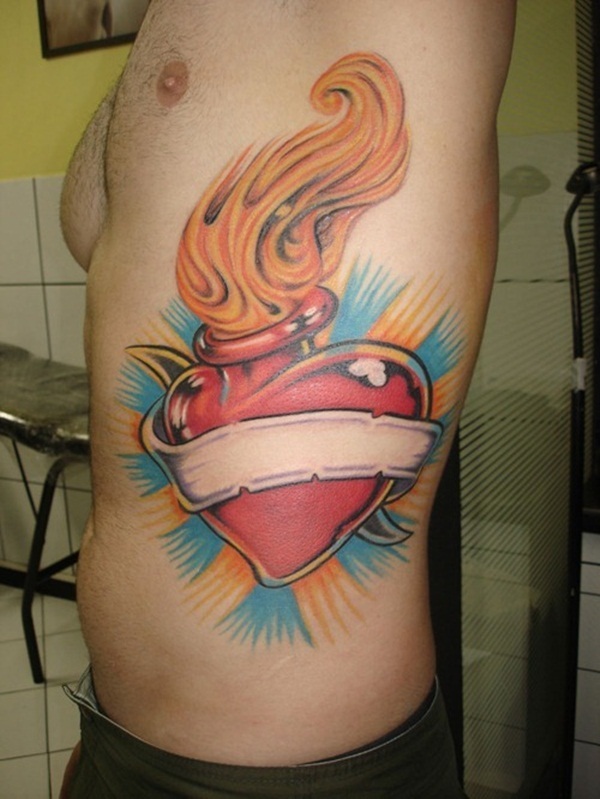 A large tattoo of a bright red heart that is flaming at the top. The flaming heart speaks of passion and intense love. A bright red heart with Mom’s name on it. 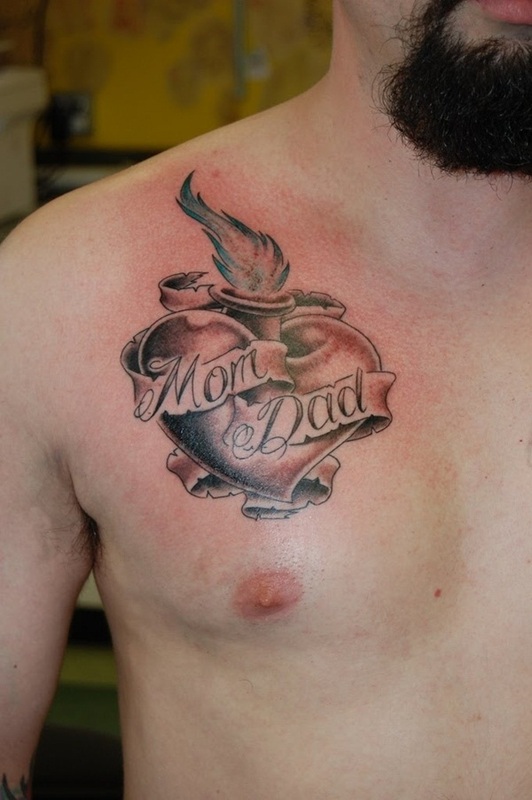 This tattoo is hugely popular for people with strong relationships with their mothers. This rounded heart is full and bright. It’s adorned with a crown and some flowers. An original design that you are sure to love. It can be placed just about anywhere. What a great design that is made up of geometric shapes. The hands create the heart right where it should be. 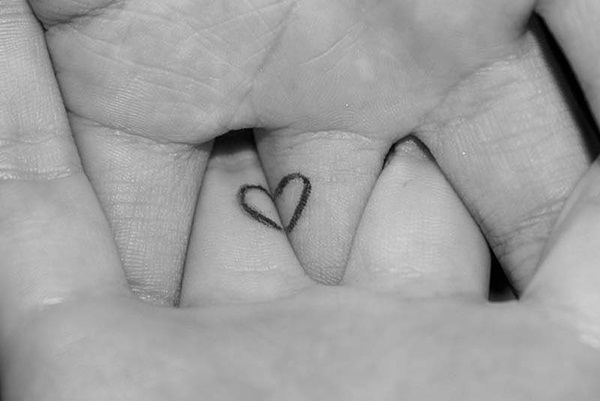 Love wrote on the finger with a heart as the O. 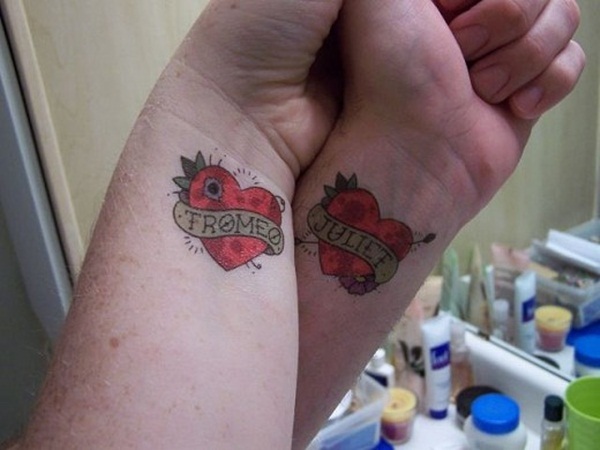 These cool hearts that have Romeo and Juliet named are true soul mates. One heart even has a gunshot wound in it. These two hearts are connected together to join two lovers together. A black and white design that perfect for love. 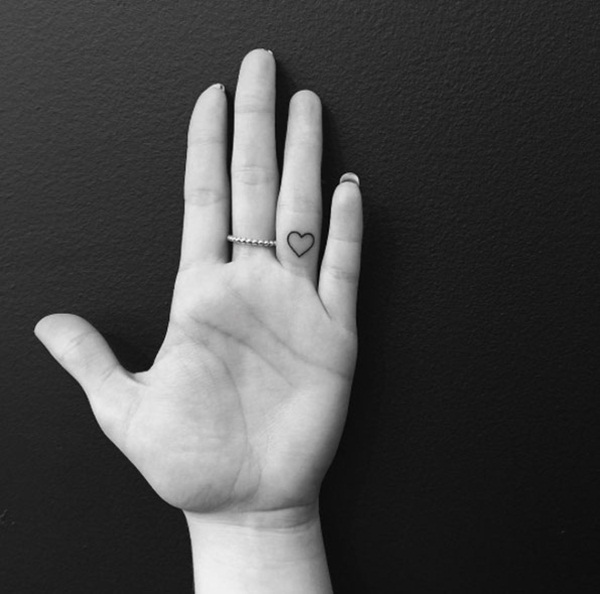 This heart is small enough to be placed on the side of a finger. 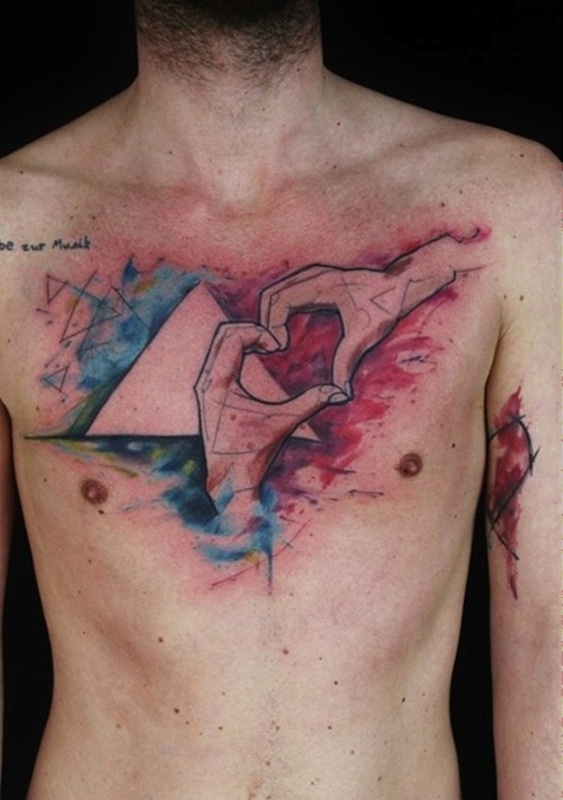 This heart design looks as if it’s been painted on the skin. If you want something bright, try this design out. 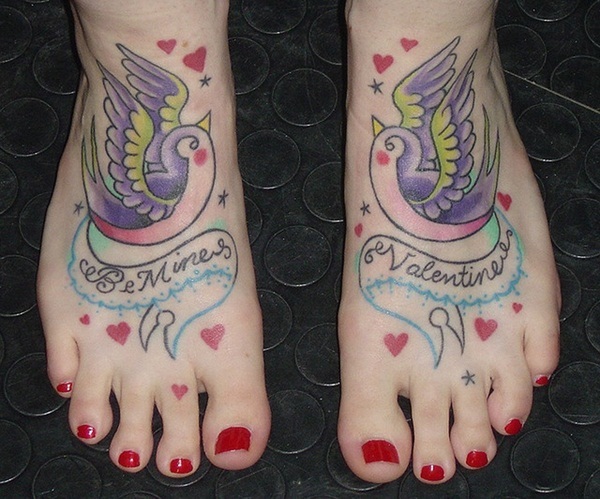 If you love Valentine’s Day, then look at this tattoo design. It’s pretty and bright for the romantic at heart. 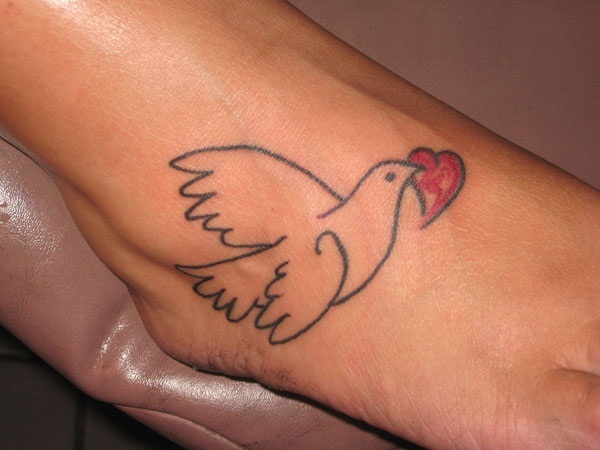 This outline of the dove is a sweet design, and he’s holding a heart. A heart that’s filled with stars. 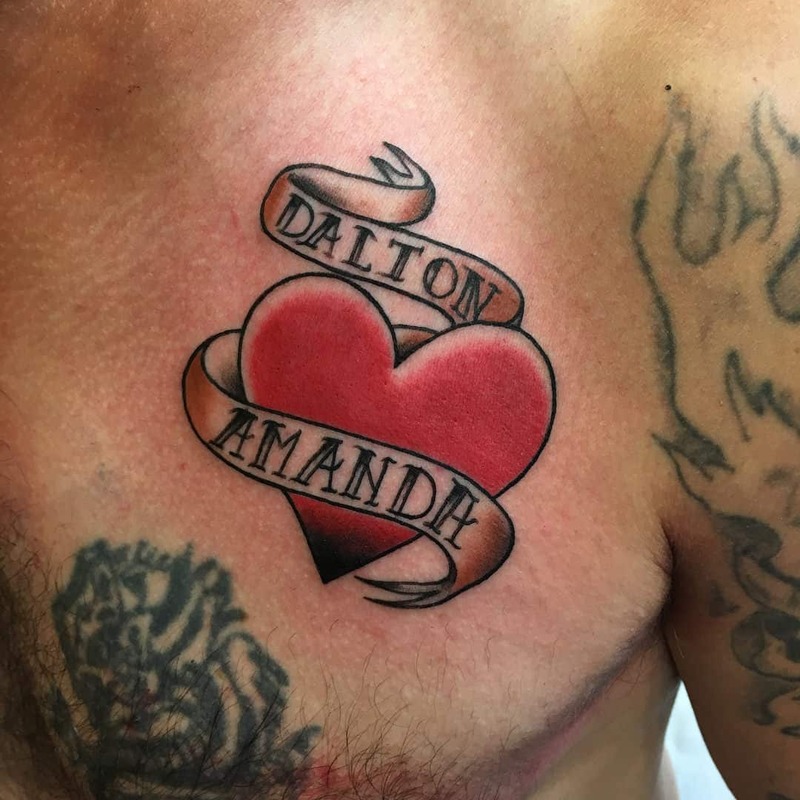 The bright colors really make the heart a stunning design. Another example of a flame shooting out of a heart shaped bottle. This one is in honor of Mom and Dad. This heart is created through initials of two lovers. It’s an original design if you want something unique. 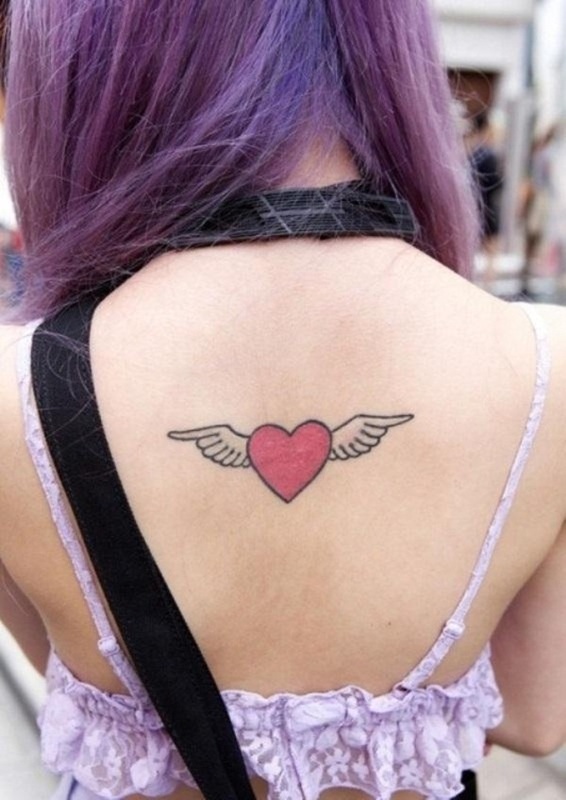 Bright pinks and purples really make this heart tattoo pop. If you want something that stands out, try this design. I love this design because it’s truly original. A thread follows through the hearts one by one creating a wonderful design. 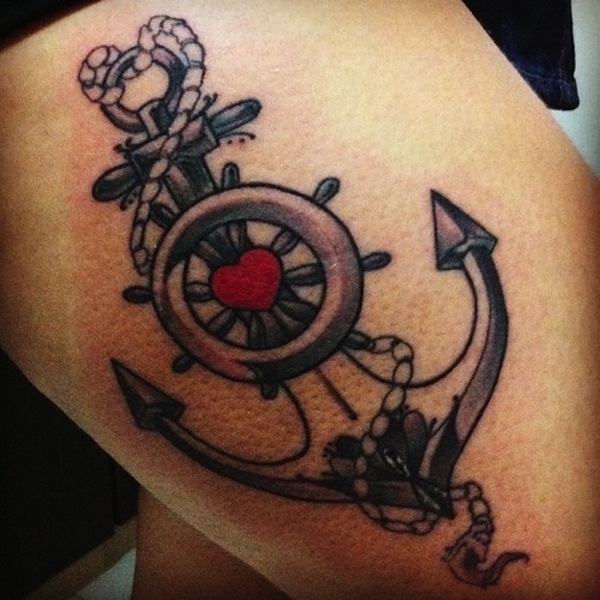 Maybe it’s the love of sailing that inspires this heart tattoo or maybe it’s inspired by someone who has a love that’s anchored. This design is that of the winged heart. It’s for the free spirit that believes in passion and love. 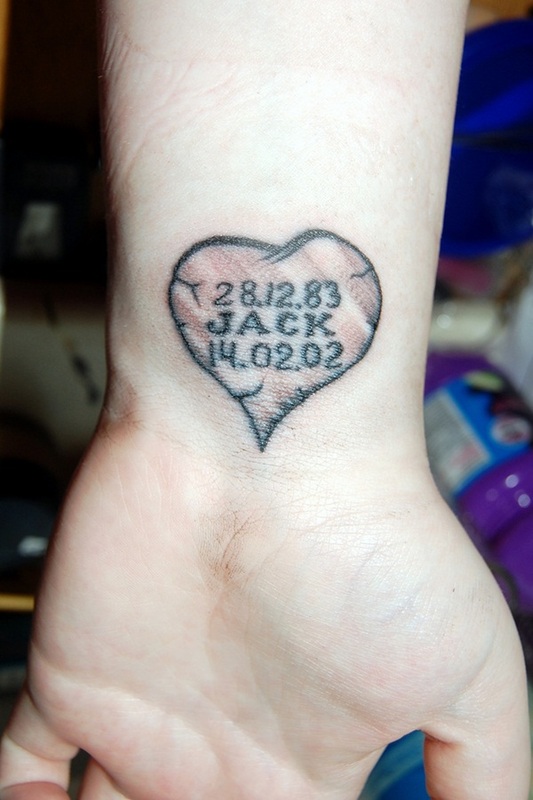 This tattoo represents the loss of a loved one. The broken pieces represent grief while the name and date are there as a reminder. It’s a graphic symbol of a broken heart that may not be for everyone. It represents the death of a loved one. 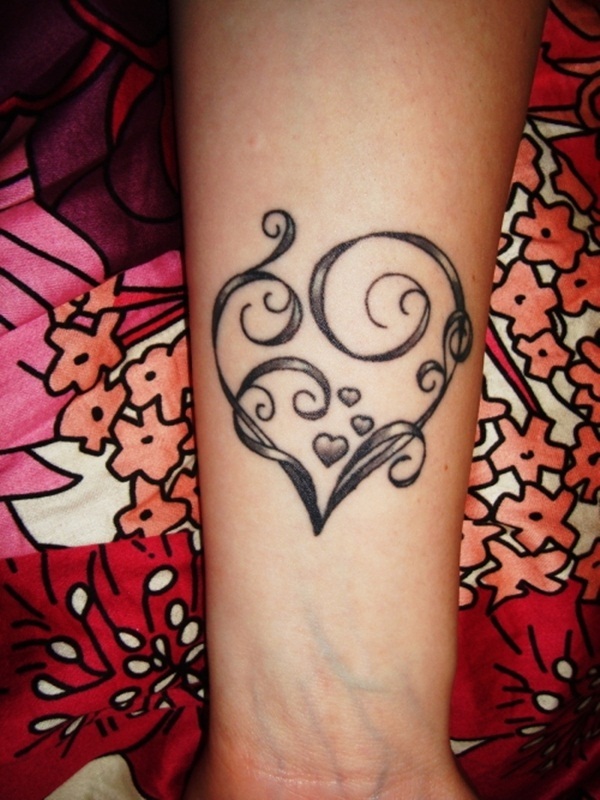 This is an unusual design that represents a joined relationship with a heart in the middle. A lock and key design that is sure to fill your own heart with love. A great design that has a heart amongst vines. Purple looks great with this design, and it represents the love of self or love of another. A small heart that is only complete when the two of you are together. 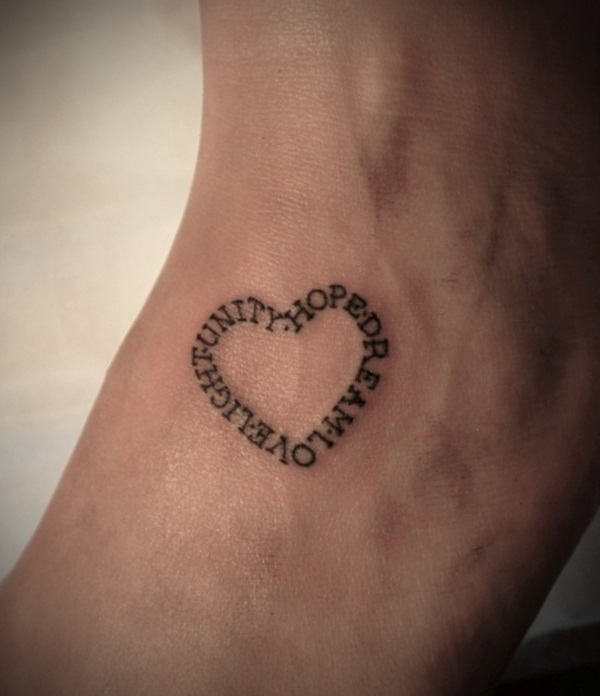 This heart looks great on the ankle. A simple design for two lovers. 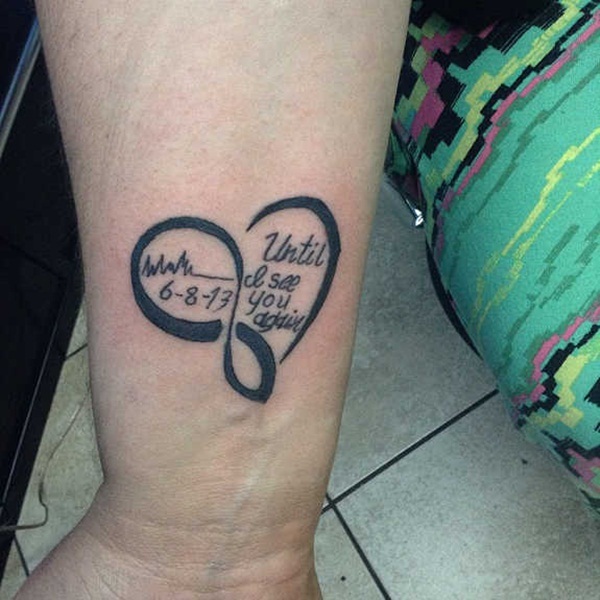 A great way to represent the loss of a loved one. 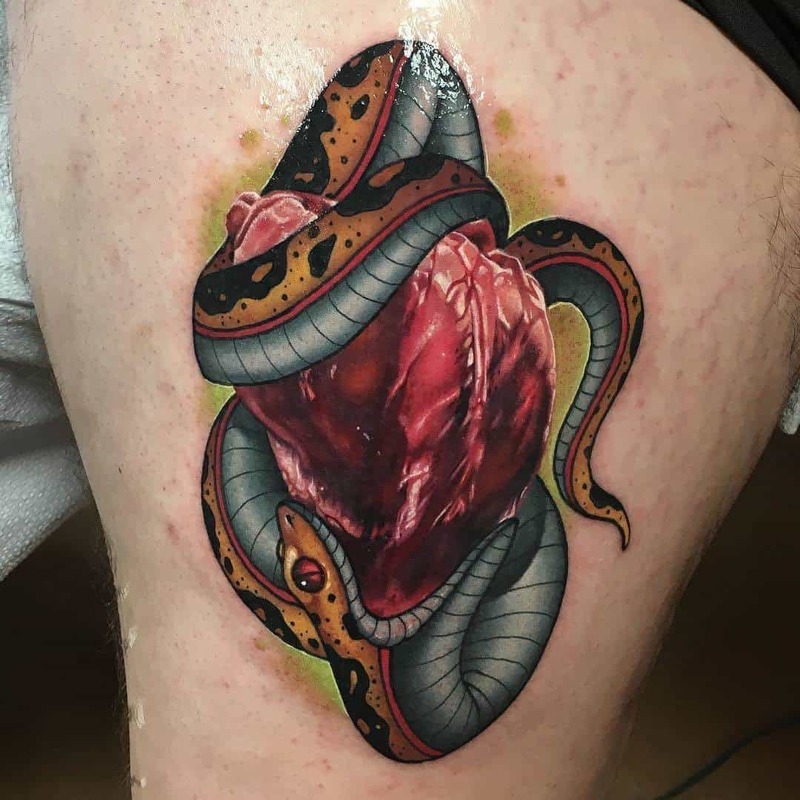 Another example of the eternity heart with a bit of color. These hearts all go together in the hand. 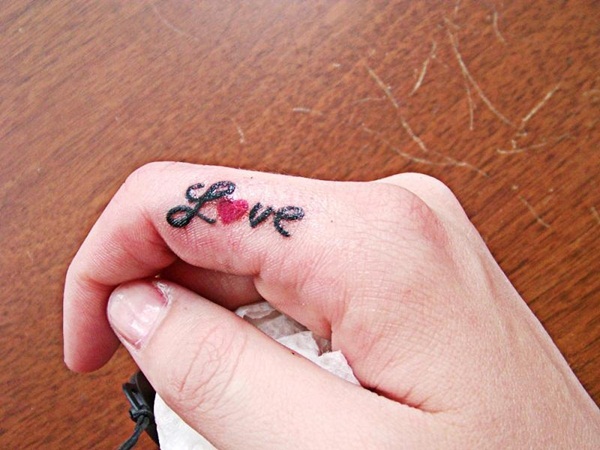 An outlined heart on the finger underneath. This heart is created with ribbons as a unique design. 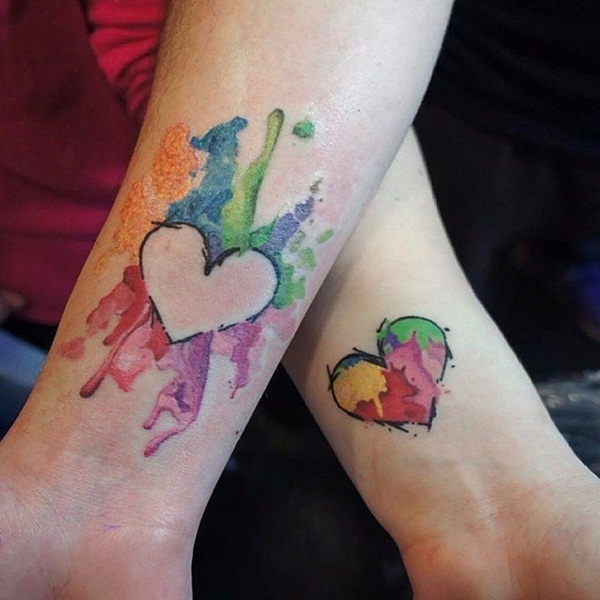 These heart designs look painted on, and one piece is cut out and placed on the other arm. This black heart usually represents a broken heart or the loss of a loved one. It’s a beautiful design with a splash of color. A few hearts lined up with the last heart dripping down like spilled ink. A simple design that holds a strong statement. This tiny heart is stitched together simply with thread. 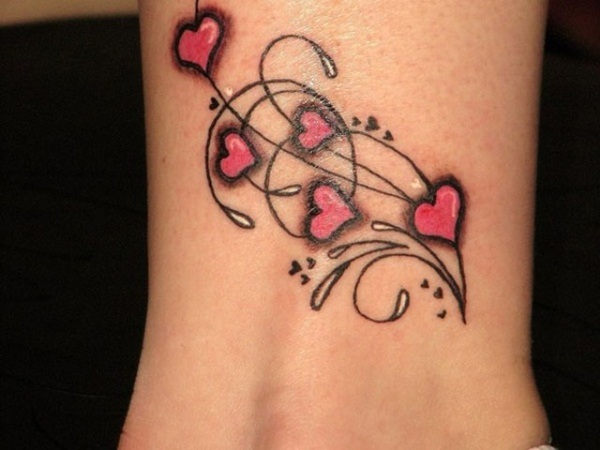 This heart design is another example of the outlined heart but in a bigger size. 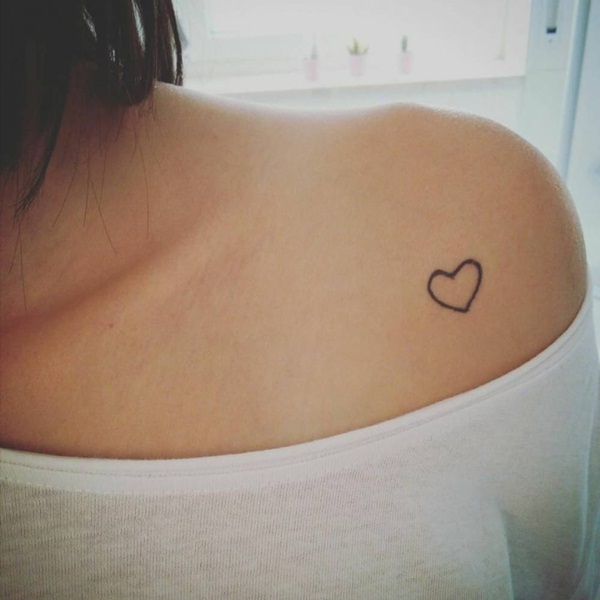 It’s placed near the actual heart as a simple tattoo. This half heart is a sweet and simple design that can be placed anywhere. 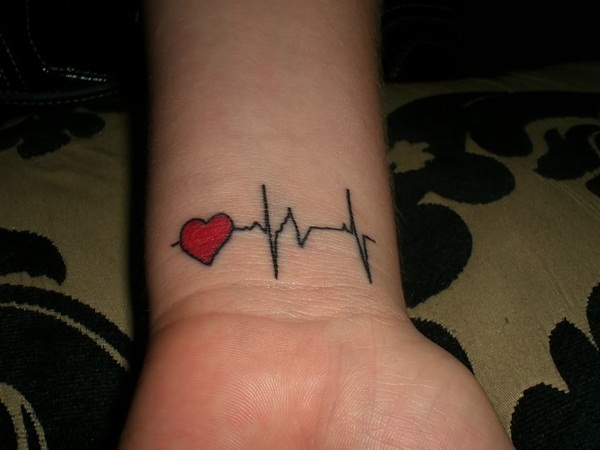 This heartbeat is placed right on the wrist. A heart created with words, and it’s inspired by love. 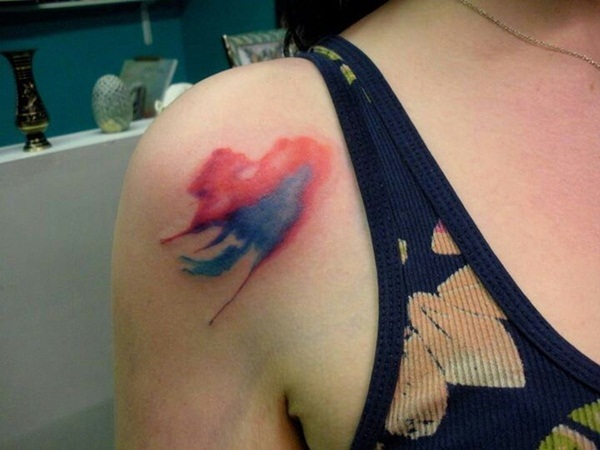 This heart looks like a watercolor. A beautiful design that you are sure to love forever. The lifeline that ends with a heart, it’s a great symbol of love. Love that creates a heart through it’s language. It’s a special design that will remind you of your true love. Another example of the heart lifeline. A simple heart designed with wings.